When I realized I was almost finished my (discontinued, ugh) Maybelline Mineral Power Concealer in Ivory, I ran to Sephora to find something better. I was recommended a few concealers by the Sephora employee, although Nars Stick Concealer in Chantilly was the only one that suited my skintone that was in stock. I was actually set on the colour one step darker than this, Vanilla, although the artist at Sephora informed me that it was too pink, and this was the best colour for my skin tone. She actually took me outside of the store, to show me in different lighting, the comparison of Chantilly and Vanilla. I was so happy she was honest, and didn't let me purchase a colour that wouldn't look right when I got home. But anyways, Chantilly is the best match for me but still not a perfect match to my skin tone, as it is a bit light. I found pretty decent reviews on this concealer, however I don't particularly like it. It will cost you $28 Canadian. 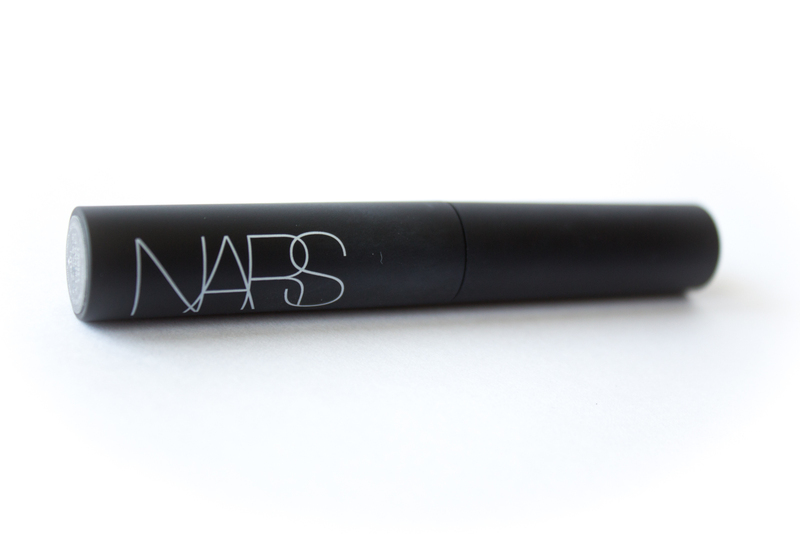 Nars official website prices it at $23. Although shipping for Canadians is $17-25 *facepalm*. Shipping in the U.S. is $5, or free for the lower 48 states with a $50 order. 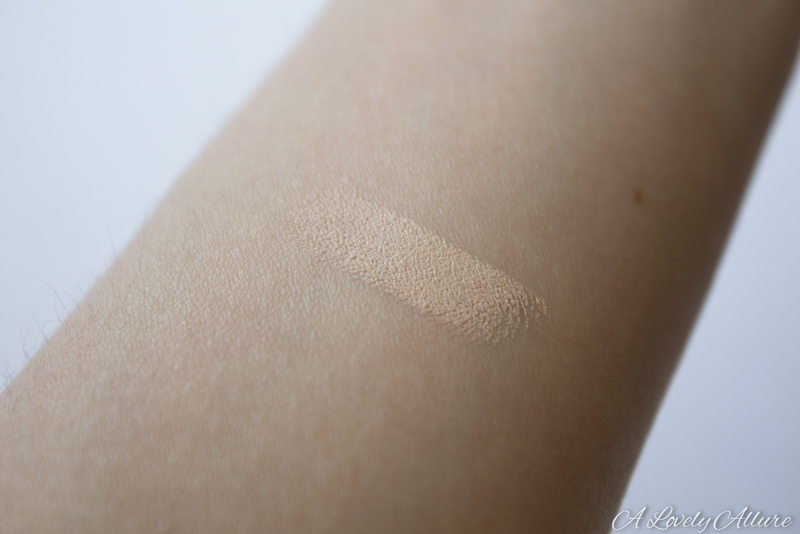 How I apply it: This is a stick concealer, and it looks like it would be fun to apply directly to the skin. But…please..do not apply this directly to the face! It does not work well applied directly and you will just waste product. When I apply this directly to the face and then try to blend the thick layer into my skin, it ends up blending the product off of the blemish I was trying to cover, as if I didn't just apply a really thick layer! I found it to apply the best by applying some product to the finger, and then dabbing the finger on the blemish or dark spot. It is better to apply light and then build. 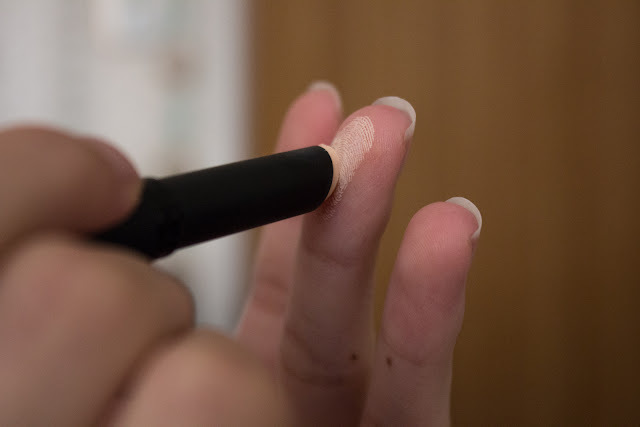 Below I apply the concealer to my finger and then dab it on the spots that needed concealing. I have used the concealer under the eye only (top right), and then all over in the larger picture (bottom). You can see that it does cover imperfections but that coverage does not last as I have quite oily skin, and it also really accentuates my dry spots. My Thoughts: I found more cons that pros for this concealer, but I guess it's only fair to start off with the good things about it! I like that it has a light texture, it feels almost weightless on the skin. It does not feel oily or greasy at all, and the coverage is not terrible oh, and I found it easy to remove.. but by the time I got around to to taking off my makeup, most of the product wasn't on my face anymore anyway. Why I don't like it: I don't know if you can consider this a creamy concealer. I found it to be a little dry, and it clung onto my dry spots. The thing I hate the most about this concealer, is how easily it wipes off. 30 minutes after I apply it under the eye, over a blemish, especially anywhere oily.. I can wipe it off by running my finger lightly along the skin. Otherwise, it just eventually disappears as the day goes by. It does not blend well, I find that trying to blend it really reduces the coverage you get. My dry spots were really enhanced, and any flakey skin I had was also really enhanced. This was extremely noticeable on the skin around my eyes and nose. I felt like the product separates easily, and kind of disappeared from my face in a few hours, especially on parts that are prone to oiliness (like my nose, forehead, chin.. did it melt off?) :p This concealer definitely feels dry and chalky on my skin. I tried this over a primer, and I found that the application was actually worse.. the primer seemed to make it difficult to cling onto my skin because it made my face much smoother. The price is also outrageous! 2g of product for $28 + taxes!? I've already used.. I don't know, 1/7th of it just testing it out for a few days. Conclusion: I'm sad to say, this concealer definitely does not live up to its claims for me. It is definitely not for dry skin, or skin that is too oily either. It might work for normal skin.. or really moisturized skin? I have seen other decent reviews on it, however, I just don't like it. The coverage reminds me of my Yaby concealer that I got in my Ipsy bag a few months ago, but with a drier texture, and a shade range that is hard to match for lighter skin.